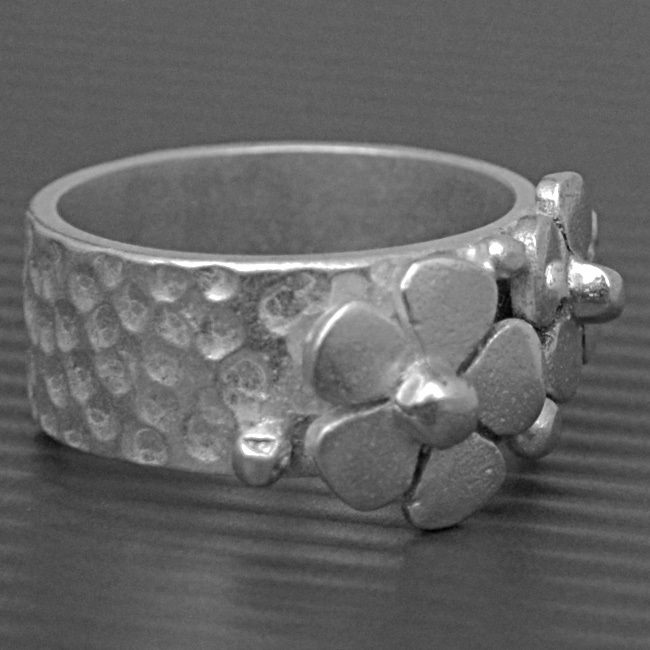 The beautiful sterling silver daisy ring comprises of a thick handmade ring with detailed daisy design. 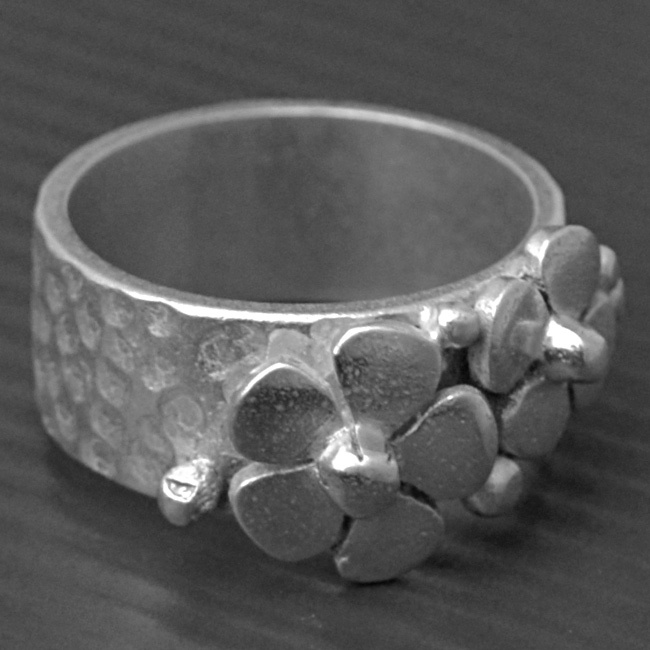 The band is 8mm thick with a hammered texture and an overall matte effect. SKU: N/A. 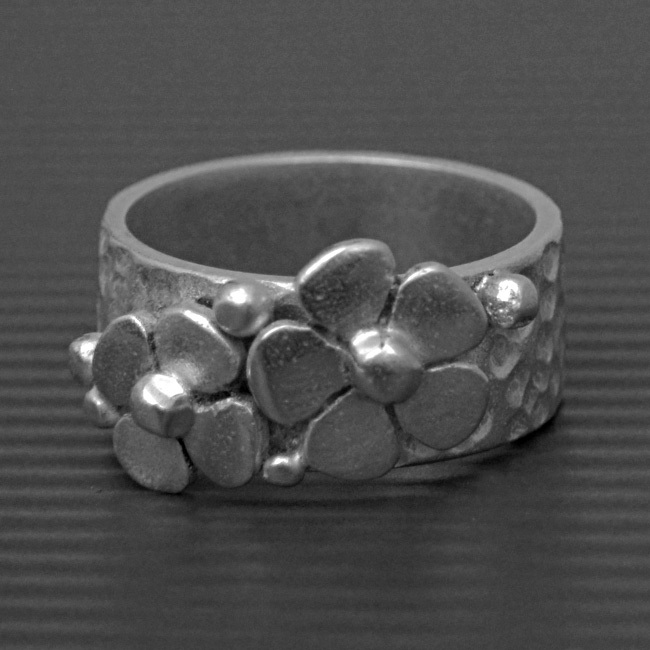 Availability: In stock Size: N/A Categories: All Jewellery, Rings, Ring, For Woman, Engagement, Wedding, Collections, Daisies. 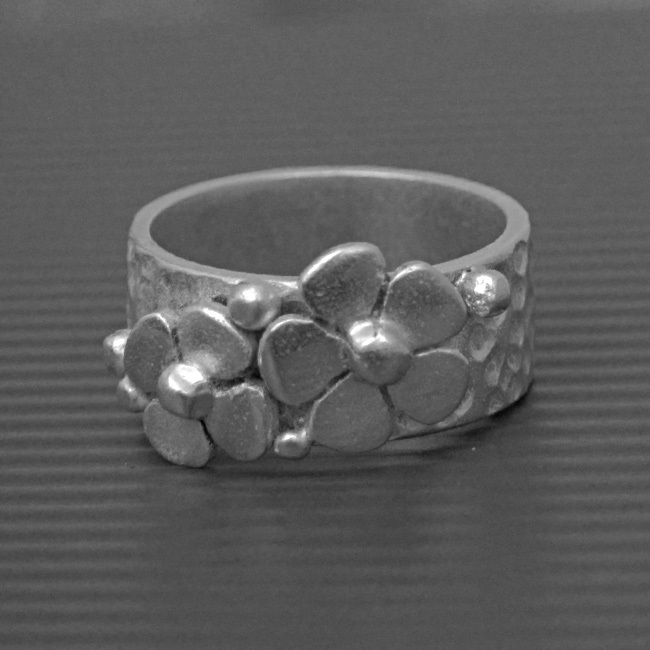 Tags: bespoke silver, daisy, daisy ring, engraving, flower, hand engraving, handmade, handmade silver, jewellers, jewellery, jewellery designer, jewellery maker., liverpool, LWSilver, north west, silver, silversmith, sterling silver, uk, wedding rings, wirral.